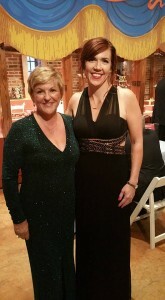 For the third consecutive year, Wanda Smith and Guests of Symphony Placements attended the Casey Cares Gala in Baltimore Saturday, March 20 2016. The “AVAM” American Visionary Arts Museum was a stunning venue to entertain over 500 guests on Saturday evening in Baltimore. The theme for 2016 was “Be a Super Hero”. There were many heroes dancing the night away and sharing incredible stories of how their lives have been impacted in a positive way by the Casey Cares Foundation. Wanda Smith, Founder/CEO of Symphony Placements is pictured with Casey Cares Founder, Casey Baynes.